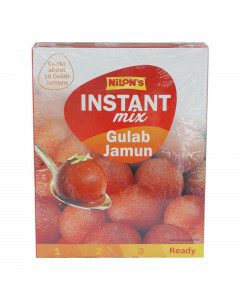 Nilons Gulab Jamun is favourite Indian dessert, which is well liked with everybody. This recipe is a melt in the mouth dessert and the right mixture to end a luxurious meal. Gulab Jamun is a sugary dumpling prepared of khova, deep fried and provided in sugar syrup.Gulab jamuns are traditional Indian sweets for everyday celebrations.